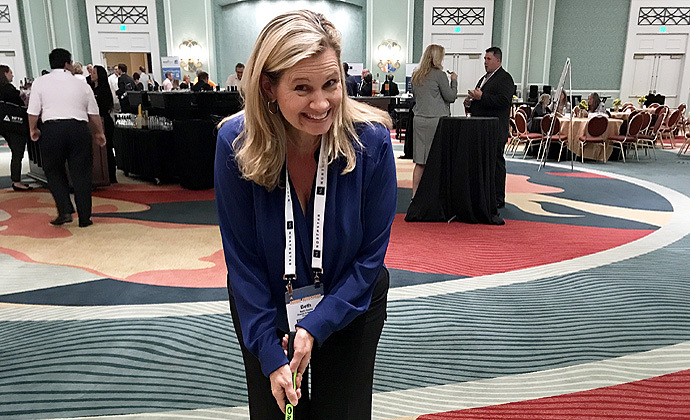 As a first-time attendee of the HFTP Annual Convention, I came to Orlando , Florida, interested in what my fellow attendees were trying to get from the event – in addition to the CPE credits. 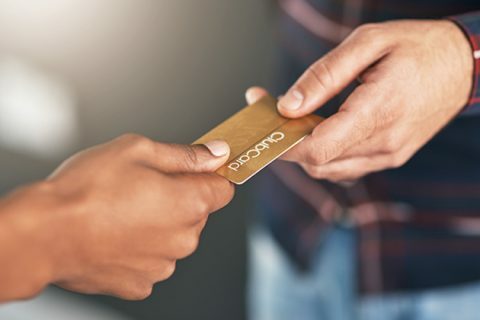 I’ve long known that this professional group is wildly supportive of each other, eager to share tips and best practices that impact the bottom line and guest experience. Today, Claudia Ogden, CPA from Crystal Mountain, another first-timer, asked me why I wanted to be a guest blogger for the convention. The answer was simple – I wanted to have the opportunity to learn new things. Learning about cryptocurrencies like Bitcoin directly from Black Lantern experts isn’t something I usually have the opportunity to do in my marketing position with a Wi-Fi provider. 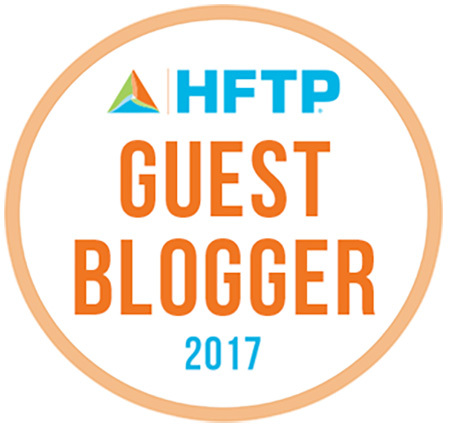 HFTP has assembled an exciting group of speakers and topics that would grab the attention of anyone. Presenter Laura Krueger Brock with Kerkering Barberio kept attendees on the edge of their chair with stories of uncovering fraud worthy of a CSI Accounting television program. She pointed out that most tips on fraud come from an organization’s employees, as opposed to an audit like many people assume. First-time attendees Sarah Spector from Mizner Country Club and Pamela Gaza with Hotel Zaza shared they enjoyed how keynote speaker Dennis Snow was able to weave his experiences with Disney World into parables that were relatable to any role. After his presentation, I now see the entertainment potential in every piece of trash on the ground. 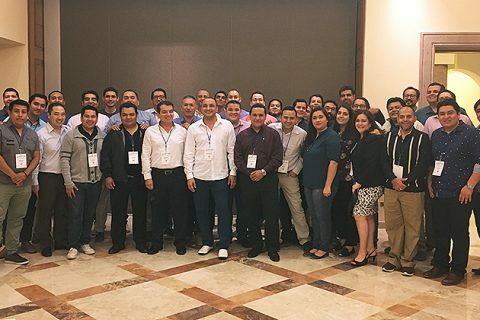 In addition to the great educational sessions, other attendees told me that they came to the annual convention to connect with peers in other companies who may be facing similar challenges. This idea was very popular among professionals who work with smaller teams. One of the best moments for me so far was welcoming a technology professional from Uruguay to the hospitality industry. Juan Manuel Rovella with room automation start-up MyHotelRoom is using the convention to learn about the industry and make connections before jumping all in at HITEC this summer. 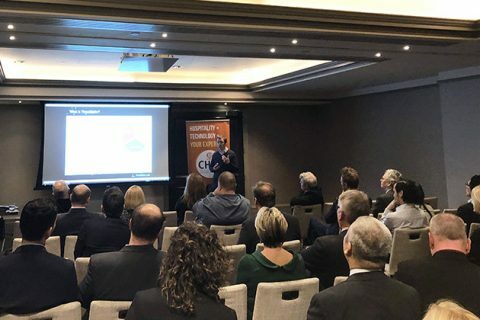 The camaraderie of HFTP extends to the industry vendors, as well, who play an important role in growing and developing the finance and technology roles in hospitality. Key players and association supporters lined the ballroom offering information about their respective products and services. 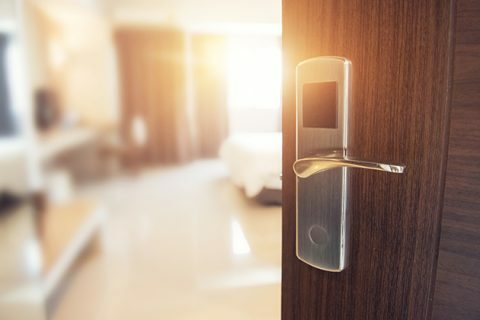 One vendor remarked to me that in hospitality he often recommends solutions to properties that may use a competitor’s product simply so they can be successful. 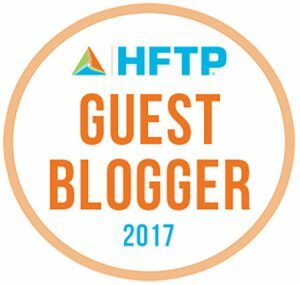 The next time someone asks me why I wanted to be a guest blogger, I’m going to say that I want to encourage those who couldn’t make to it the HFTP Annual Convention to come next year, learn new things and make meaningful professional relationships. Go ahead and start planning for next year!